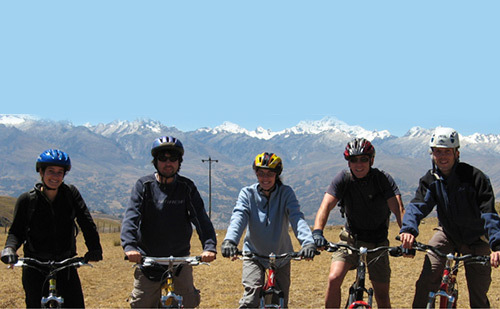 Huaraz is the main city of the Callejón de Huaylas, a valley with numerous trails suited for mountain biking. 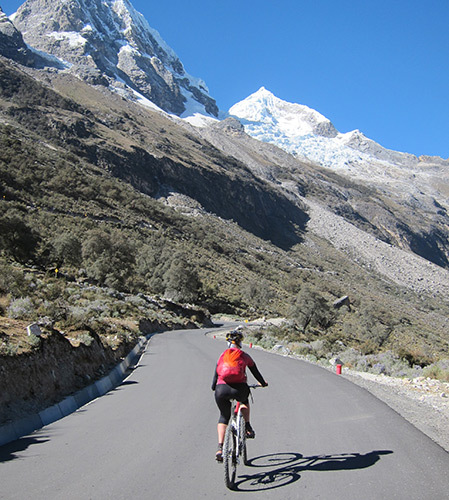 Go for a day trip and visit small villages on your bike or If you rather pedal and cross the Cordillera Blanca over passes nearly 5000 m high on a multiple day adventure. .We can organize everything for you (bikes, tents, meals, maps, accommodation, and spare parts). Just let us know what you like best and we'll help you with all the details. Trips cost based on minimum of 3 people Please check each route for detailed pricing information or contact us for a customized trip. 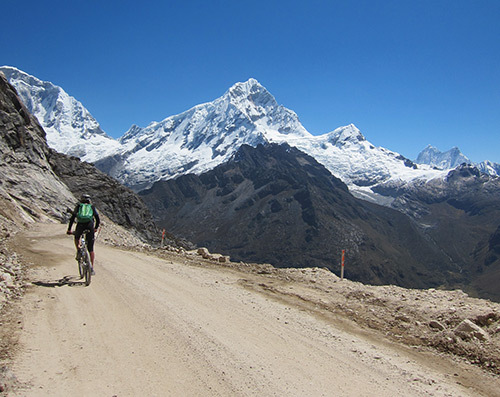 We have selected spectacular routes in both the Cordilleras Blanca and Negra. Enjoy the landscape of the Callejon de Huaylas while practicing this exhilarating adventure sport. Hostel in the cities or camping equipment during multy-day trips. All the meal for the Guide. 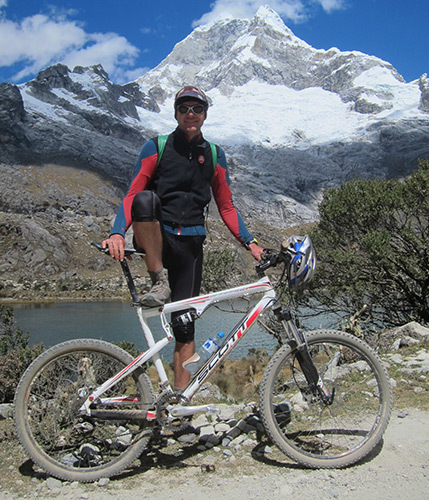 Entrance fees to: Huascaran National Park (Cordillera Blanca) $ 25.00 US for multiple day trip. Sleeping bag, Clothing and personal equipment.